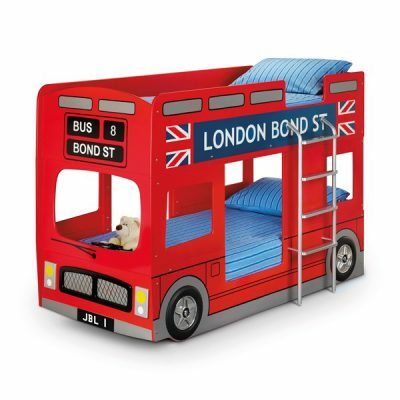 The 10 Most Amazing Kids’ Beds Ever Made! Hurrah! The list is complete, finally we have narrowed it down to just 10! Recognising the importance (and dealing with the dilemma) of choosing the perfect kids bed, Cuckooland has compiled a list of the 10 most amazing, unique, incredible, fabulous, inspiring, and mould-breaking beds in the known universe from some of the freshest, brightest designers and manufacturers ever to sketch a design or tighten a bolt. You need look no further, for below is the ultimate kids bed list to replace all the lists that have gone before it. Drive your little boy’s imagination with a bed that’s rightfully risen into the top ranks of our bunk bed range. Eye-catchingly bright, and filled with intricate details (including the option for a personalised number plate sticker), it makes sure every night-time stop is one to remember. 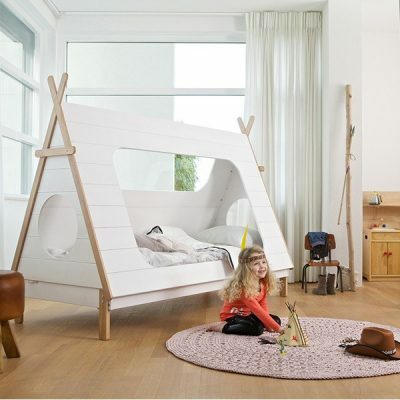 Making bedtime an event in itself should no longer be tricky thanks to the Teepee Cabin Bed by Woood. A gorgeous base for games and inviting friends over to chill in the sunlight (or moonlight), its pine manufacture lends a light, airy touch to a child’s décor, letting you appreciate beautiful design while your munchkin gets busy with their funatics. This item’s pretty much a home within a home! 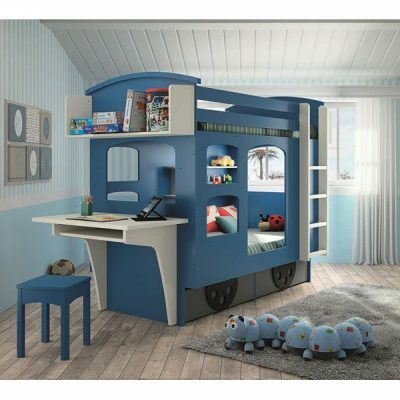 We’re not surprised young families get a kick out of this wagon-themed bunk, with its soft, pastel aesthetic pleasing both parents and little ones. There’s a ton of features to enjoy, such as a desk, shelves and window holes looking out over the room below. Feefo Customer Rating: This Kids Bed was only launched recently, so no customer reviews yet. Customer Comment: We’re expecting it to be good. For kids that love camping (and parents that love the outdoors), this had to make the list. 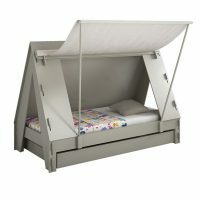 With a wheeled frame that can hang trinkets above your child as they sleep, it provides the magic of linking stars together beneath an open sky, whilst its trundle drawer is a solid storage fit (or extra sleep station). Kids will love turning it into a den at a moment’s notice. The treehouse-style wow factor of this item has struck a chord with young adventurers who see their bedroom as the perfect hideaway. Great for games, playtime is invigorated by the sturdy confines of the cabin design and adorable stepladder. A chill-out area lies beneath the main bunk – but hurry, this limited edition bed won’t hang around for long! Give your little monster a caravan all to themselves, with this ultra-cool product from Mathy By Bols. Available in 26 colours, this sleeper provides an overwhelming secret feeling to those travels in dreamland. It’s also a convertible since you can roll back the roof cover when your child wants to see the silver glint of the moon as they nod off. Customer Comment: “A great bed, the finish could be a little better i.e. caps over the screws. That said, Cuckooland have arranged for screw caps to be sent to us.” (now that’s transparency for you). Surprise entrances make a morning that much better, which is why we think this particular Cabin Tent Bed has done so well. Hand-crafted from pinewood and MDF, it’s amazingly elegant for its size, and props up a cloth side wall that can be shuttered to keep out brothers and sisters, or flipped open to your child’s delight. Continuing with the treehouse theme (my, they’re popular aren’t they? 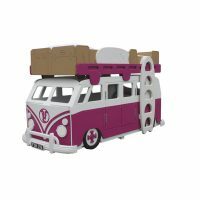 ), this is one of our premier pieces, with beautiful slanting boards surrounding the top bunk, and plenty of support for the bed underneath. It looks like a child’s drawing, in the best way imaginable. 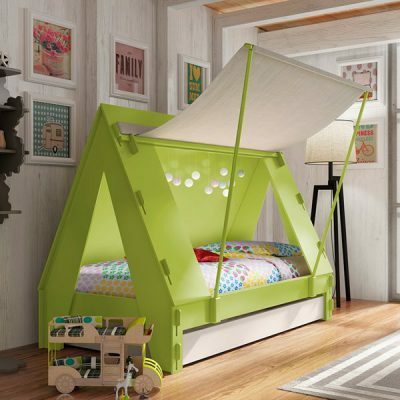 There’s no denying the Kids Treehouse Bunk Bed has oodles of authentic style that’s reaching sleepers around the world. The Adventure Kids Bunk by Lifetime may look higgledy-piggledy, but rest assured safety is the main prerogative here. Parents can appreciate the secure bed frames and the little touches here and there, such as the cute top window that can be opened up. A pull-out drawer leaves the option for a guest bed, making this an incredible buy for young scallywags with lots of adventurous friends. The piece de resistance… there’s literally nothing else you could want of a child’s bed, apart from a spring to get them up in the morning (alas, we’re not perfect). Using the popular Scandinavian approach to launching its drawers, shelves, and overhead frame into a timeless realm, there’s so much to enjoy here: there’s even a walk-in closet, for Pete’s sake! 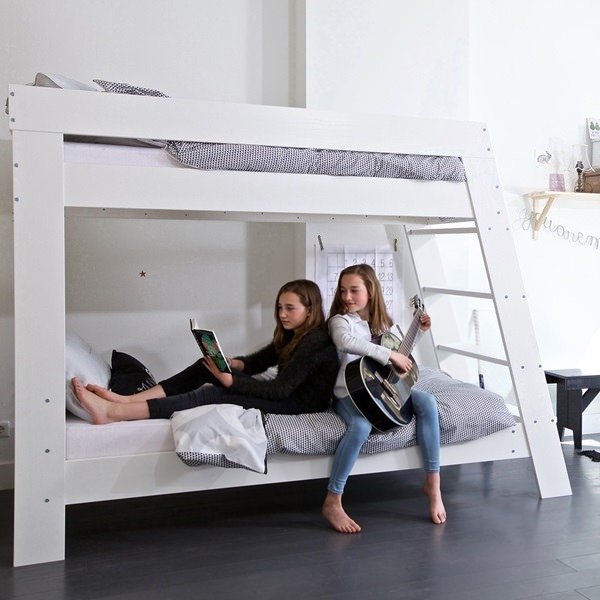 No child can resist this award-winning sleep (and storage bed) station, and we’re pleased as punch to introduce such ridiculous value and multifaceted use into the UK market. If you have any questions about our fave pieces and designers, call us on +44 (0) 1305 231231 or drop us a line at customerservice@cuckooland.com and we’ll gladly point you in the right direction. Previous PostThe Most Amazing Kids Cabin Beds Ever Made!